FASLANYC is back from a short hiatus. This week we will be happily picking back up with the last installment of mammoth’s group reading of The Infrastructural City. 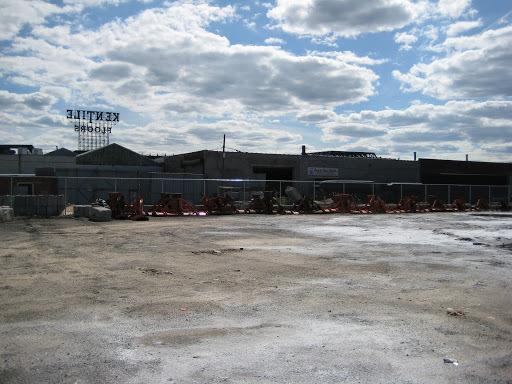 This week is the first installment of a four-part post covering the Gowanus Canal and the Canal Nest Colony Project in Brooklyn, NY. In addition, we have some exciting new developments to mark the year anniversary of regular posts. Our very own Don Roman de la Mancha has been studiously learning English and will become our regular South American correspondent. Developments south of the border have long interested us, and it is a stated belief and goal of us at FASLANYC that designers in the US should not be so Euro-centric, and that we have much more to learn from the sudacas than we admit. DRDLM will be helping in this effort, focusing on the countries of Argentina, Chile, Brazil, and Colombia. Lastly, gentleman landscape architect/bike repairman/bait store owner H. Willis Montcrief will become our southern correspondent, reporting on developments south of the Mason-Dixon line. You can still expect a poorly-written, pedantic, and faux-intellectual post every Sunday/Monday, but we hope to begin adding shorter, more informal posts occasionally throughout the week. And what is that you smell? Oh, that! Well, you see, he shares impartially with his neighbors a piece of public property in the vicinity; it belongs to all of them in common, and it gives to South Brooklyn its own distinctive atmosphere. It is the old Gowanus Canal, and that aroma you speak of is nothing but the huge symphonic stink of it, cunningly compacted of unnumbered separate putrefactions. It is interesting sometimes to try to count them. There is in it not only the noisome stenches of a stagnant sewer, but also the smells of melted glue, burned rubber, and smoldering rages, the odors of a boneyard horse, long dead, the incence of putrefying offal, the fragrance of deceased, decaying cats, old tomatoes, rotten cabbage, and prehistoric eggs. And how does he stand it? Well, one gets used to it. One can get used to anything, just as all these people do. They never think of the smell, they never speak of it, they’d probably miss it if they moved away. 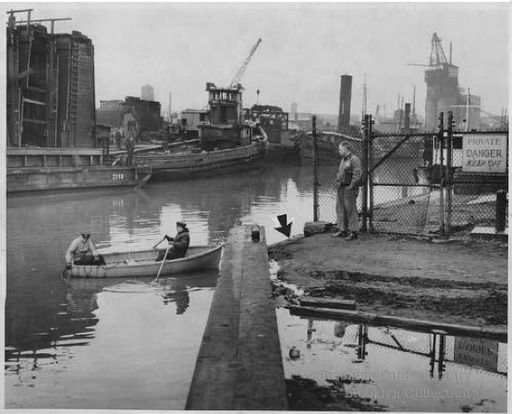 The Gowanus Canal in Brooklyn was once a meandering tidal creek whose brackish waters produced oysters so succulent and sizable they were harvested by the Dutch settlers and shipped back to Europe by the barrel-full. With the growth of industry and the concomitant population explosion in Brooklyn in the middle of the 19th century, the old Gowanus Creek was channeled and deepened to create the 1.8 mile-long canal, finished in 1869. This allowed for brown sandstone (“brownstone”) and other construction materials quarried in New Jersey and upstate New York to be brought into Brooklyn, where they were used to erect the future mecca of Hipsters and Hassidim. 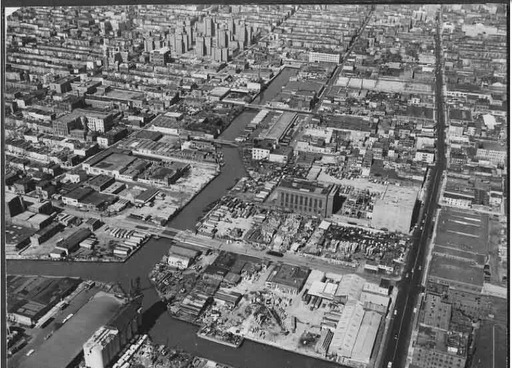 Like most industrial canals, the Gowanus was always conceived as a teleological logistics platform. 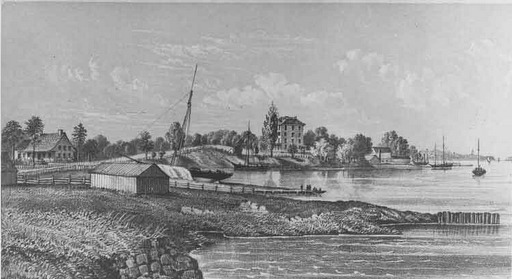 Industries reliant on barge traffic, such as manufactured gasworks and tanneries, sprang up along the canal. By 1906 there were over 85 barge trips per working day (excepting the lord’s day) and the canal was a “maritime superhighway for barges bearing coal, sand, oil, and brick“. It was also the provenance of the “huge symphonic stink” that lent South Brooklyn “its own distinctive atmosphere” and was considered an American embarrassment. 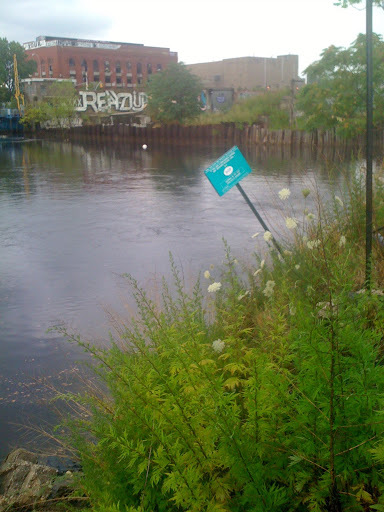 Now the Gowanus Canal primarily functions as the collector outlet for 14 of the combined sewer overflow points in Brooklyn. If you are ever in Brooklyn during a rain and are an insane masochist, jump on a bike and head down to the Canal where 2nd Avenue dead ends. About ten minutes after the rain begins you will feel an acrid stink in your pores, and a sulfuric odor reminiscent of Dante’s fumache lagoni will wash over you. This is because raw sewage is upwelling in the Canal just ten feet away and mixing with the heavy metals, petrochemicals, polycyclic aromatic hydrocarbons (PAHs) and polychlorinated biphenyls (PCBs) in the deep sediments and waters of the Canal. It is disgusting, and disheartening. The blocks immediately adjacent to the Canal have been left mostly to bus repair shops, industrial scrap yards, concrete plants, the vacant vestiges of past energy industries, and carting companies that lumber through Brooklyn at night looking for cyclists to flatten. Four of the streets from the city grid continue across the Canal, but most reach dead ends at the Canal. The Canal itself dead-ends at Butler Street where the Boerum Hill neighborhood begins. And yet, the Canal has a certain attraction. It is a sublime landscape with the old ruined factories and rubble heaps and scrap yards interspersed among garages and warehouses. The F/G trains and the Gowanus Expressway cross overhead and at night the little lights in the subway cars are beautiful. If you go there on the right night and watch the subway crawl along the tracks and see the distant skyline of Brooklyn and Manhattan, if you notice the bats diving for insects against the dark silhouettes of the strange warehouses and factories around you will feel that New York City is the place for you; that despite our propensity for creating ugliness, beauty is bigger than us. Of course, the canal was not always seen in this light, and will not always be like this. For the last generation the landscape here has been in a derelict state, neither productive according to its original intent nor converted to some newly appropriate use. It is terrain vague, an “abandoned area, obsolete and unproductive… which represents an anonymous reality.” [sic] And this terrain vague, the fracturing of the historical narrative, permits the creation of new mythologies. Terrain vague, as the site of a failed teleological construction, offers a landscape exploration space for the probe head mechanism which is not accounted for in capitalist territorialization characterized by the consumption/disposal binary. A derelict site of failed or obsolete intention serves an attractor for exploration and provides a point of departure for the creation of new patterns of use. It offers the chance to construct new mythologies. 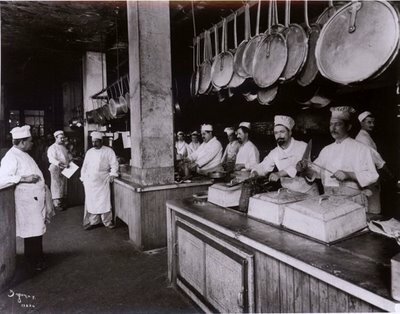 With the slowing of industrial maritime activity in Brooklyn in the 1940’s thanks to the construction of the Verrazano Bridge and the Gowanus Expressway, and the ceasing of regular dredging operations by the Army Corps of Engineers in 1955, the lands and waters were left open for new agents who could find room to operate here. These include blue crabs, fiddler crabs, and swallows, as well as punks, homeless kids, rave partiers, artist communes, kayak enthusiasts, prostitutes, in addition to neighborhood groups, school teachers with a bivalve interest, and private developers. Now that agents of all levels of prestige and power are focused on the Gowanus Canal, this list is rapidly changing. In the coming three weeks, we will detail one initiative- the Canal Nest Colony- which we have begun working with since first reporting on it last year. Having not physical been to the Gowanus, I'm particularly curious about its adjacency and access conditions. From your descriptions and a peak at Google Earth one can see the bordering factories and manufacturing uses (both derelict and still in operation). But to what degree do you see the canal? Do you have to be in the know? I ask because I recently sent a scout to check it out. A friend of mine recently went out there on a visit and I mentioned he should check out the canal. He did so but not being from there, had a hard time getting close to, or experiencing it. His general impression was that it was a terrain vague fortress complete with impenetrable razor wire on the fences.Judging from recent press it seems like plenty of designers and hipsters now know about the Gowanus, but do you think the canal needs more opportunities to interface with the day to day general public (i.e. those people that are not going to go out of their way to discover it)? Totally speculative, but perhaps selectively tearing down a disused waterfront structure or two at key points? Delineating pathways/viewing points into it?Granted this would likely wreck the quiet, Detroit-esque terrain vague vibe but might lead to other useful effects. It is tough to make out the canal. you can live right by it and never see it, and you wouldn't have much reason to unless you fetishize abandonment. Birds may attract a couple of people- birders are fanatical, and the insects and open space here provides critical habitat to a few species.There are really only three places where it is accessible:- the 9th street bridge; this is under the elevated F train is the most common way to see the Canal (take the F to 9th street, walk down to the street, voila)- 2nd street dead end where the dredgers launch their canoes.- The Salt Lot at the 2nd avenue dead endThe 2nd street access and the Salt Lot are very hard to find though, if you aren't in the know.Tearing down the fencing, especially the razor wire, would make it look more inviting at least. But the canal is so polluted and the bulkhead in such disrepair in most places that the city would likely shut down any effort to get too close. What's more, the superfund designation concentrates on the area from bulkhead to bulkhead, and any initiative that interferes with their work or might (even possibly) be disrupted by it runs aground pretty quickly we've found.pathways and viewpoints, yes. the brightly colored birdhouses are often sighted at the end of streets to try and draw people down to them. once there, they would be near enough to the canal to experience it.How might it be done differently? How was/is it done in other similar situations? Not sure. Sounds like it will happen the other way around (try to clean the canal first and access will follow), which with the superfunding hopefully will happen?